Aurora Ariel is a woman who has faced some very real challenges in her life, and through them has sought answers to how we all can clear out our past baggage and live life more through our Authentic Self. This is a caring woman who has walked the walk - crawling some of the way, no doubt. She has worked her way through her own life challenges and through the experience developed a psychological and spiritual-based process that is helping others. They offer life coaching and internships to bring TheQuest counseling to others. Check out her website for more information on this best-selling author and psychologist. Keep up with her latest communications on Facebook. Book Jacket: The Earth Saga continues with a journey into the Miraculous as Millions of Awakening Souls alter the course of Earth’s Destiny. Weaving a prophetic vision of an Illumined Future, stories of extraordinary encounters, divine visitations, angelic intervention, healing by dolphins and more, reveal the extraordinary time we are in.While dire potentials loom on our horizon and many people are in the throes of darkness and despair, Dr. Ariel believes that there is an unseen hand assisting us to move into an enlightened future. Amazon Synposis: In this groundbreaking book, Dr. Aurora Ariel leads us into a glorious future potential that is being initiated by millions of people worldwide. From extraordinary encounters to mystical experiences, a quantum shift is taking place in the psyche of humanity. This book takes us further into the mystical side of our present planetary equation and unveils the mystery behind the Violet People and their unique destiny that could turn the tide at the 11th hour. A Dynamic Treatise on the portents of the Violet Age and the host of extraordinary phenomena facilitating the Great Awakening. Book Jacket: For the past 33 years, dolphin interactions with humans have increased dramatically, resulting in a host of miraculous stories that include extraordinary encounters, mystical experiences, profound visions, telepathic communications, unexpected healings, life changes, inner transformations, and spiritual awakenings. Amazingly, these experiences are similar to events recorded at the advent of the Golden Age in Greece. This worldwide phenomenon speaks to a critical time in Earth's history, as awakened from normal lives, diverse backgrounds, and belief systems, the thousands of individuals experiencing these encounters share a common bond and responsibility. Weaving the threads of this phenomenon from its most ancient historical significance into the present, we find we are moving into a future that may yet be our most Glorious Age. Amazon Synopsis: The resounding echo through this book is that we are loved. Through this LOVE of the Indwelling Spirit we are inspired to see, know, and love ourselves in the way that God loves us. When we love ourselves absolutely, we give ourselves our best life. Embracing ourselves from this Divine Perspective, we live Sacred and Abundant Lives accessing the Great Power Within. As we consecrate the moments of our existence to a Higher Purpose, we allow the Divine Plan for our life to fulfill itself in and through us. Living in the Miracle Consciousness, we enter the Miraculous Life, a sacred and richly fulfilling existence where we uncover Life’s Sacred Mysteries, witnessing to the majesty and glory of our Authentic Self as we walk our Highest Destiny Path. Use the seven step process developed by Dr Ariel to uncover and heal the inner aspects that hold you back from having a closer relationship with your authentic self. 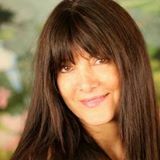 Aurora Ariel developed this process known as TheQuest through a need to heal her own inner subconscious aspects that caused self-sabotage, illness, and trauma in her relationships. This book holds the key and direction that you need to do your own inner self-healing. Jacket: The exotic vocals of Aurora with Bruce BecVar weave a mystical blend that is both uplifting and inspiring, transporting us into a world of transcendence and light. Jacket: A brilliant collaboration, River of Gold is a magical weave of guitar, instrumentals, and exotic vocals, this album has been highly acclaimed for the SPECTACULAR LOVE and TRANSCENDENT JOY that fills every note, carrying you into a world of romance, beauty and light.